The Guided Bomb Unit-10 (GBU-10) utilizes the 2,000-pound general purpose or penetrating warhead. The operator illuminates a target with a laser designator and then the munition guides to a spot of laser energy reflected from the target. The GBU-10 consists of an MK-84 2,000 pound bomb with an added laser guidance package. The GBU-1OI mates a BLU-109B weapon with a Paveway II laser guidance kit. 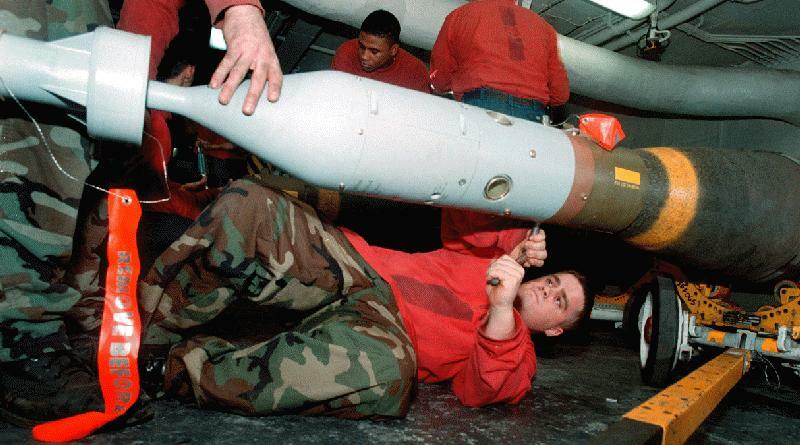 This improved 2,000-pound bomb is used against targets requiring deeper penetration. 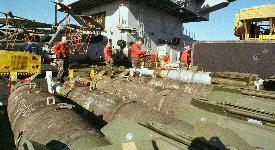 The munition was used during Operation Desert Storm, and, according to the Air Force, hit 78 percent of its targets. In Operation Desert Storm, GBU-10/10Is were used extensively by F-15Es and F-111Fs mainly against bridges, Scuds, C3I (command, control, communications, intelligence) nodes, and bunkers. Of the 2,637 expended,'44 over one- third were dropped by F-111Fs, and the rest by F-117s, F-15Es, and Navy and Marine Corps aircraft. There are two generations of GBU-10 LGBs: Paveway I with fixed wings and Paveway II with folding wings. Paveway II models have the following improvements: detector optics and housing made of injec- tion-molded plastic to reduce weight and cost; increased detector sensitiv- ity; reduced thermal battery delay after release; increased maximum canard deflection; laser coding; folding wings for carriage, and increased detector field of view. (Paveway II's instantaneous field of view is thirty percent greater than that of the Paveway I's field of view). Development cost Air Force officials state that they could not provide development cost for the munition because they do not have records covering the development period.